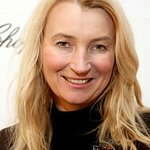 Award-winning filmmaker and actress Anna Wilding has written an article for Heralddeparis.com on the effects of Hurricane Sandy. “It is not particularly easy to write about a hurricane when I just left a zone devastated by earthquakes, that being Christchurch, New Zealand,” she wrote. "However, that is not to distract form the sheer force of Hurricane Sandy and its effect on many lives and of course the infrastructure in 15 states, in particular New York. To date, over 100 lives have been lost, 56 of those in the United States. It’s a sad time for many. “I returned to USA a month ago from Christchurch New Zealand. I have weathered over 5000 quakes having arrived in New Zealand very shortly after the initial quakes which destroyed the town. Literally. I ran a charity there and made a documentary on the quakes. “Americans’ ability to remain calm is amazing. Witnessing it in Sept 11 and again now, one can’t help but be impressed by the calmness such a huge population manages to retain. Whereas Christchurch people were known for their stoicism, and the Japanese for their efficiency and self reliance, I think Americans may be known for their calmness in face of huge events. Is it in part due to good leadership at the time, I think that bears thinking about. In this case, President Obama, who put his own campaigning on hold to speak with dozens of governors and personally ensure states, towns were getting the help they needed. Anna Wilding is the founder of the Wilding Foundation, Carpe Diem Films and Kalon Skincare. To read her full article about Hurricane Sandy, visit Heralddeparis.com. To read her account of the devastating earthquake in Christchurch, click here.